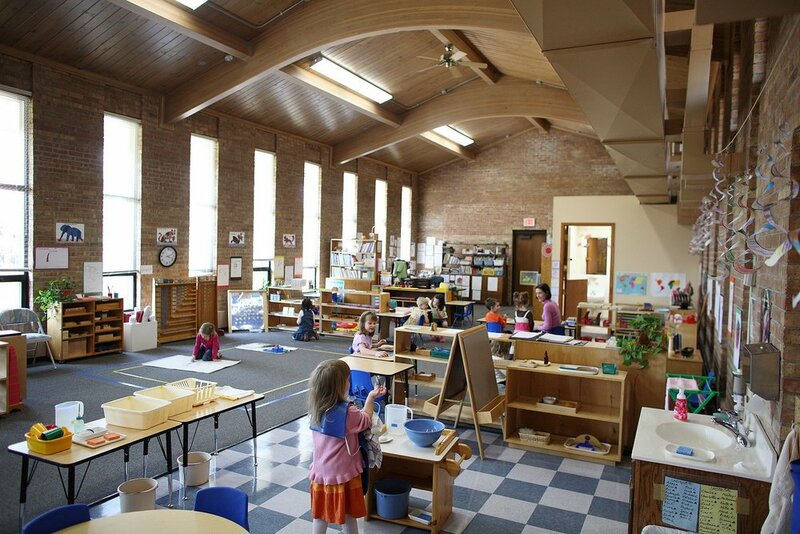 Kinderhaus Montessori School (KMS) was founded in 1971 by a trained, experienced Montessori teacher, Leigh Jewell, and parents who were enthusiastic and committed to the goal of offering quality Montessori learning experiences to their children. KMS was formerly (from 1964) a part of the North Suburban Montessori until that school split into smaller units in 1971 to facilitate its goal to be parent-directed. The school was incorporated as a nonprofit 501 (c) (3) corporation with a volunteer board of directors. In 1987, Ms. Nora Cruden was hired as Lead Teacher and Program Head. She dedicated her heart and career to Kinderhaus, and worked at the school until 2018. In 2017, Ms. Taylor Amigon was hired to take over for Ms. Nora as Head of School and Lead Teacher. The 2018-19 school year will be the first year that the school will offer both part and full-day options. It is the Mission of Kinderhaus Montessori School to provide an enriched environment and education for our children—three through six years of age—and to give them the opportunity to develop to their fullest potential psychologically, socially, physically, and intellectually. KMS is licensed by the State of Minnesota through its Department of Human Services, complying with all health and safety standards set forth in its regulations. We are a registered member of the American Montessori Society (AMS). Kinderhaus is administered by both a Head of School and a Board made up of parent volunteers. The KMS board meets on the second Wednesday of each month.